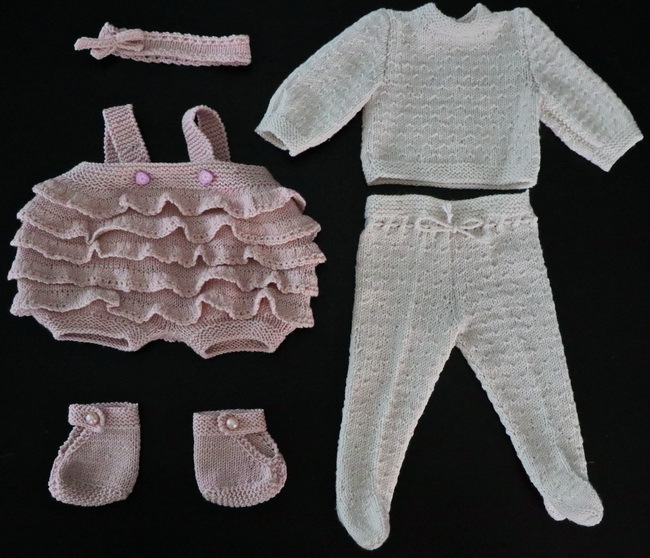 I am sure your doll will love this new outfit! ... knitted in the same color as the sweater. I think the effect of this little pattern is lovely. 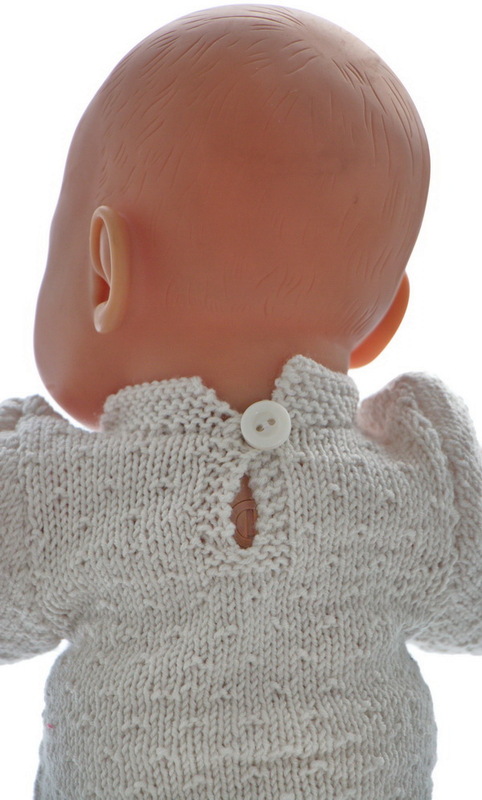 The sweater is buttoned at the back. Next, I knitted the long pants. ... in the same color as knitted for the sweater. 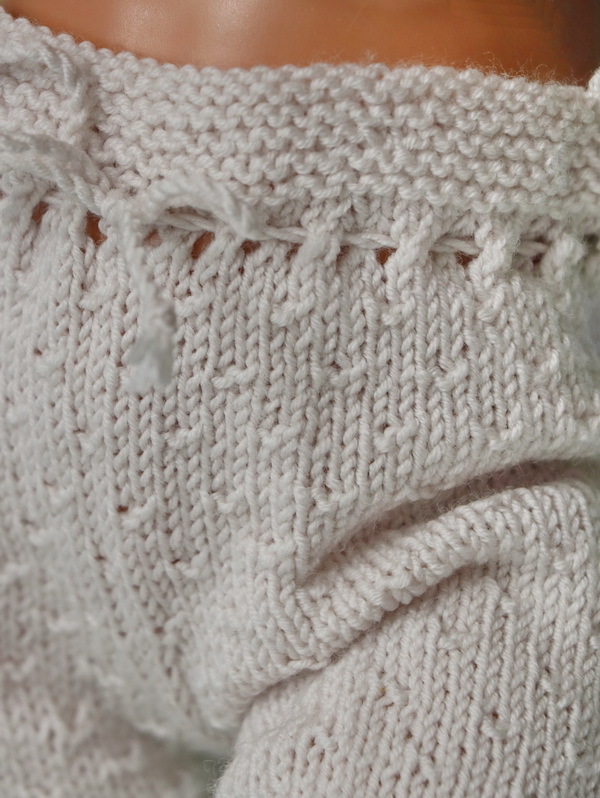 I was wondering about what to knit next to the sweater and pants. 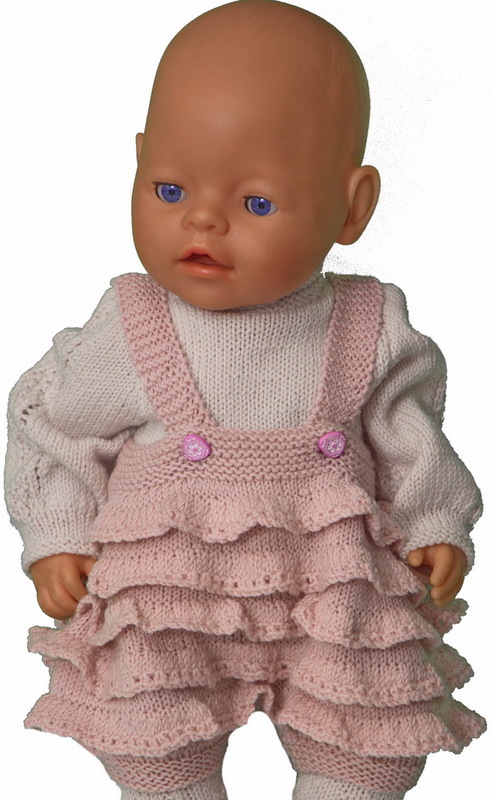 One day I was out shopping I saw a lovely short pants knitted for small girls in a shop. I looked at it and thought “Why not” knit something similar to these pants? It could be something special and a little different from the dresses! I started knitting the pants in pink. 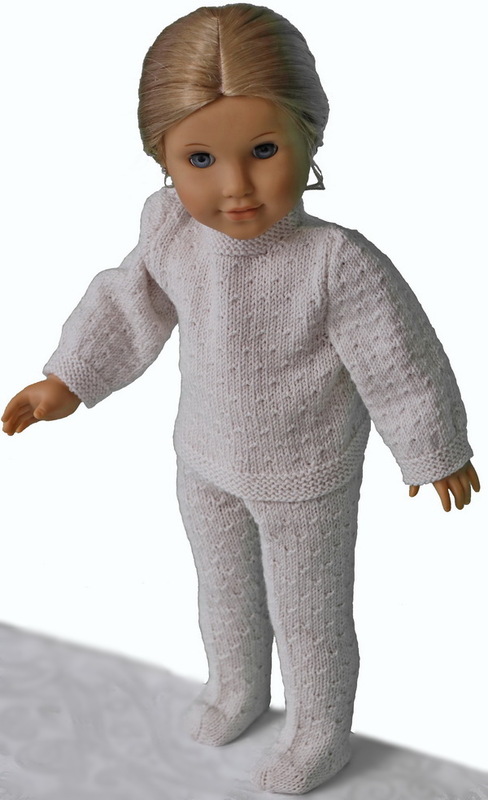 I knitted wide pants with ridges purled along the pants. 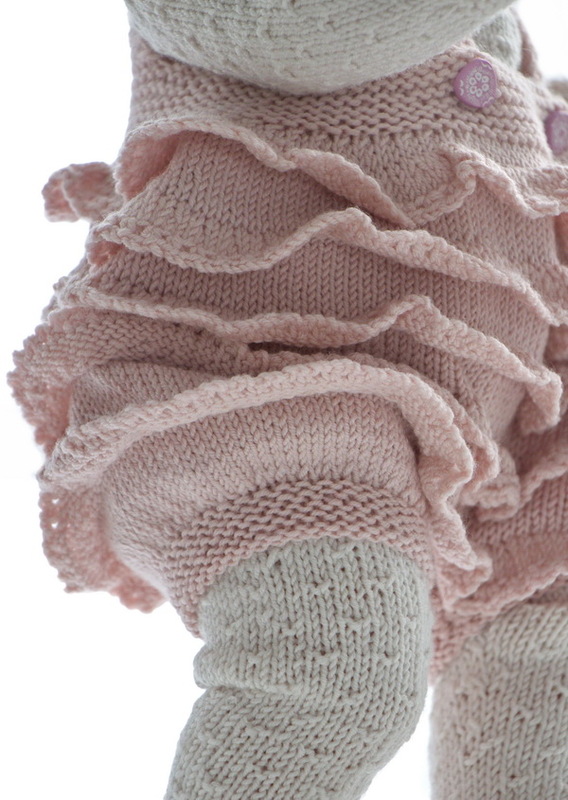 From these ridges (5 ridges altog), I knitted up sts across the ridges and knitted small ruffles. After knitting them, I crocheted cute edges across them and ironed lightly. 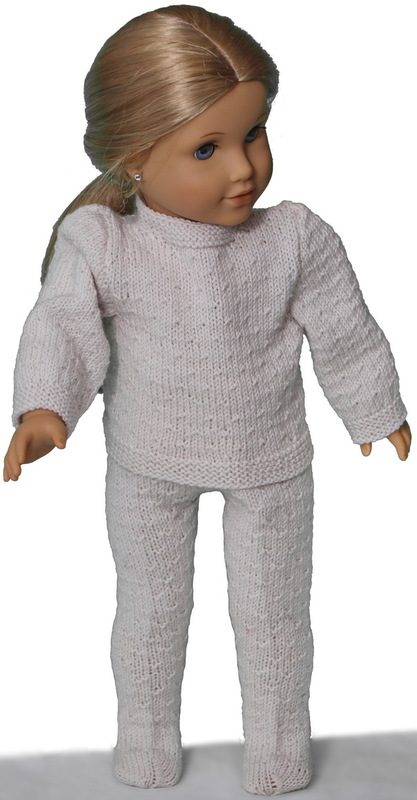 The pants have suspenders knitted in garter sts and it is buttoned front. 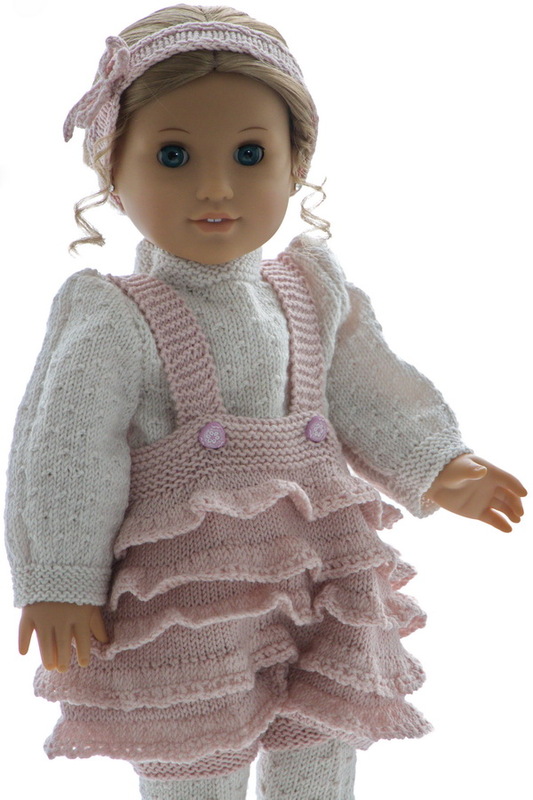 A hairband knitted in pink with the same nice crocheted edges as crocheted for the pants. Then I crocheted a chord and ironed it lightly. I formed it like a bow and sewed it to the hairband. Complemented these clothes perfectly. 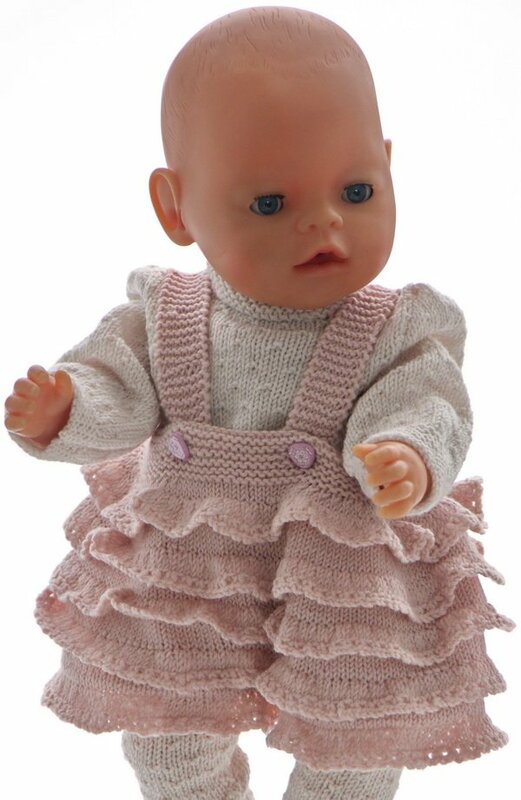 A pair of pink shoes with ankle-straps were chosen to this outfit. The ankle straps are buttoned with pink pearl buttons. ... to step out wow everyone.